Don’t you love the feeling of Christmas? This year, our whole church, will be taking a journey through the feelings of the First Christmas through the Eyes of those who were there. Our children will be having their own special experience at LifeKids, in Professor Playtime’s Christmas Shop of Wonders. The days following Christmas are often the messiest. The tree branches droop, the water in the stand is rotten. The living room floor is covered in wrapping paper and torn packages. The kitchen is full of dirty dishes, and the counters covered in flour and other debris. The first Christmas probably wasn’t as silent and picturesque as our nativities and carols imply. Jesus came into a messy situation. His was an unplanned pregnancy that nearly led to divorce. His poor parents had to make an unexpected trip at the time she was about to deliver. He was born in a dirty manger, received ominous prophesies, and was nearly executed by a homicidal king, but escaped to Egypt just in time. This description may sound similar to your family or life, but the good news is Jesus isn’t afraid of your mess. You will be encouraged to give Jesus your mess and accept his mercy and grace in it’s place, as he chisels your life to become his great masterpiece. Christmas is a season of signs. Shopping Signs: Black Friday Sale. 50% off. Signs of Love: Family gathered for dinner. Gifts exchanged with loved ones. Do you recognize the other signs of Christmas? The Spiritual Signs? The ones that say, slow down and worship. Pause. Remember the Christ of Christmas. The Magi saw a sign in the heavens, a star. They recognized this sign and came to worship Jesus. 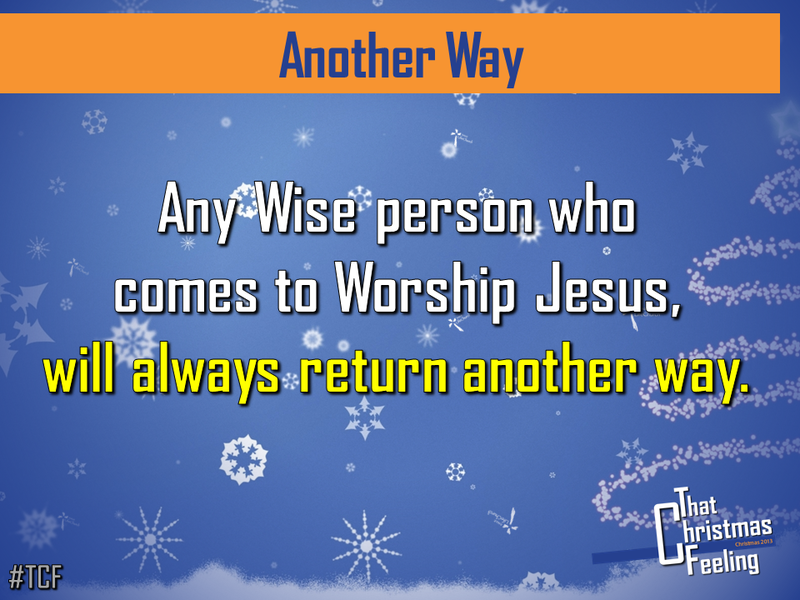 What will you do with Jesus, this Christmas? Social fear will cause us to become busy and overworked as you try to keep everyone happy and attend all the parties. Economic fear will cause us to become materialistic as we strive to keep up with the Jones’s. Fear of past hurts will cause us to become bitter, lonely, and grieving during this season of great joy for all people. Fear of losing control will cause us miss Jesus, as Christmas turns into a holiday all about ME. Be encouraged to keep Christ alive this Christmas, and avoid letting paranoid fear make it a not-so-great Christmas. Next Sunday, Wisemen Worship. We will finish this 2-part lesson, with the other side of this story. Christmas is a time of expectation. Some look forward to the giving of gifts. Others long for that moment when the whole family gathers around the table for diner. Still others agonize that it the first Christmas without a loved one. This child is destined to cause the falling and rising of many in Israel, and to be a sign that will be spoken against, so that the thoughts of many hearts will be revealed. Through the life and ministry of Jesus Christ, the thoughts of hearts are revealed. This Christmas, will you be one who falls away, or will you be lifted up through the encouragement to Expect Comfort and Freedom?